Although we call the union the United Federation of Teachers, over the years it has grown to include many other educators and professionals. Although working at different tasks, they share common interests and concerns. So that they can clearly articulate their concerns, these groups have formed chapters of their own, commonly known as functional chapters. Functional chapters have their own elected leadership. The interests of functional chapters are represented on union decision-making bodies such as the Executive Board and the DA. They hold regular meetings to map out strategy and identify members’ concerns. 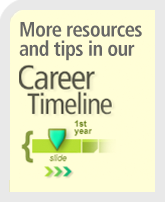 Some functional chapters, such as guidance counselors and secretaries, have their own contracts. Here’s some of the UFT’s functional chapters that may have members in your school: attendance teachers; guidance counselors; hearing educational services; laboratory specialists and technicians; nurses and therapists; paraprofessionals; school secretaries; social workers and psychologists; speech teachers. If you are in one of these job titles you can find more information about how your functional chapter leader can support you by visiting Our Chapters. 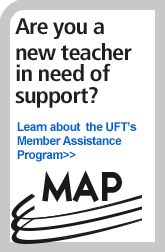 You can also go to the UFT chapter leader at the school in which you’re working for help. You can find out more about the activities of your functional leader as well as important information about your salary, rights and responsibilities by clicking on the link for your functional chapter.